Dordan specializes in designing and manufacturing functional thermoformed products and components for industrial, automotive, and medical applications. Custom thermoformed components are designed to meet specific functional performance requirements, typically outside the realm of visual packaging. 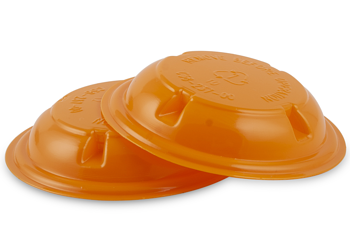 Developed with a fundamental understanding of the client's needs, Dordan applies 60-years of thermoform design and manufacturing excellence to the production of highly-engineered and high-performing plastic components. 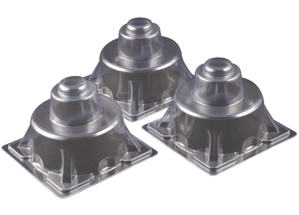 Thermoformed components offer unique solutions to packaging, assembly, manufacturing, transport, and product useability challenges. Further opportunities for functional thermoformed components exist for injection-molded parts that can be redesigned for thin-gauge thermoforming, thus reducing tooling expense. Thermoformed medical components for sterile and non-sterile medical devices offer product protection and maintain cleanliness. Designed for medical device assembly, manufacture, distribution, or use, medical components provide custom performance solutions to specific functional requirements. ISO 9001:2015 certified, Dordan is equipped with an ISO Class 8 Cleanroom for the production of sterile and non-sterile thermoformed medical components. Dordan is an engineering-focused, full-service plastics thermoformer, offering all thermoform component design, tooling, and production in-house. This integration between thermoform design and manufacture allows for the production of highly-engineered, high-quality thermoformed components in quick turnaround at competitive pricing.